Round Out Your Kit and Improve Your Bagpiping! Are you just learning to play? Or have you been a veteran of many a Tartan Day Parade? Been to the World Competition or just dream of competing? Wherever you go as a bagpiper, you can get more enjoyment from your instrument and improve your playing with a little help from our instruction books. And round out your kit with these great accessories. 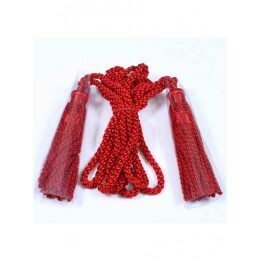 They make great gifts for any bagpiper, too! You never stop learning as a bagpiper! Veterans and beginners alike can get more out of their Scottish bagpipe experiences by having the right tools at hand. 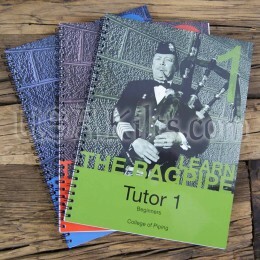 At Home -- a good library of piping manuals such as the famous College Of Piping Tutor Books. On the Road -- handy items to make life easier (and safer for your pipes) like reed protectors, a solid pipe case and cleaning kit. For Fun -- the finishing touches of sharp-looking drone cords, luxurious pipe bag covers and the other trimmings that let everyone know you are proud to be a Scottish Bagpiper!